Fashion Male Avatars. 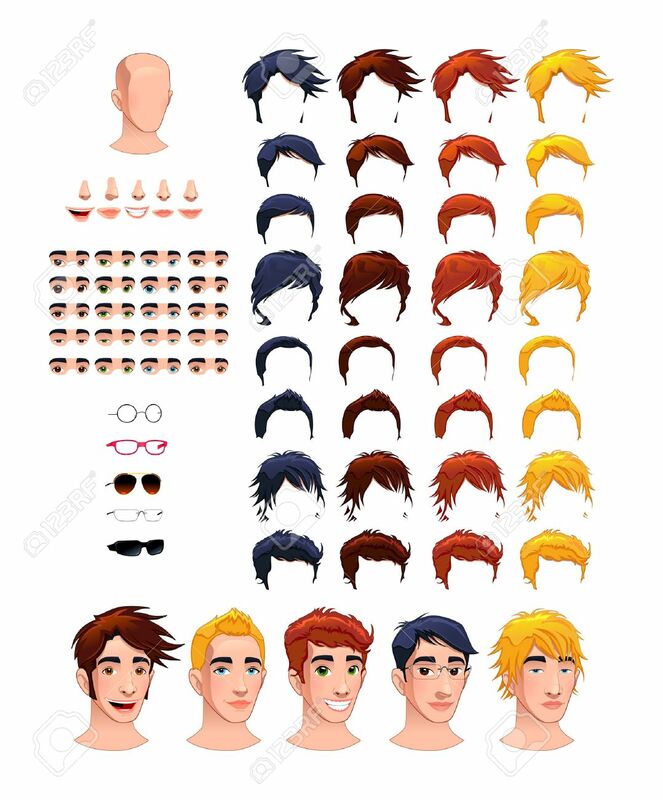 8 Hairstyles And 5 Eyes In Different Colors,.. Royalty Free Cliparts, Vectors, And Stock Illustration. Image 24023763. Vector - Fashion male avatars. 8 hairstyles and 5 eyes in different colors, 5 mouths, 5 noses, 5 glasses, 1 head, for multiple combinations. In this image, some previews. Vector file, isolated objects. Fashion male avatars. 8 hairstyles and 5 eyes in different colors, 5 mouths, 5 noses, 5 glasses, 1 head, for multiple combinations. In this image, some previews. Vector file, isolated objects.